A Taxonomy of Intranet Implementation Strategies: To Make or To Buy? The mid-1990s marked the widespread adoption of intranets by organizations to facilitate communication between geographically dispersed organizational units. Since then the knowledge barriers to adoption have been lowered by the emergence of advanced development tools and later the availability of ready-made “intranet-in-a-box” packages as well as an elevation of the general awareness and knowledge of Internet/intranet technologies among users. 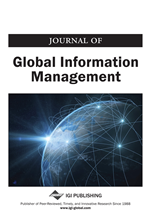 Based on an explorative study of intranet implementations in nine Danish and two South African organizations, this article presents a taxonomy of four archetypes of intranet implementation processes. The dimensions of the framework are sourcing (in-house vs. outsourced implementation) and technology (development tools or packaged intranet products). Using the taxonomy, we classify the strategic choices of the case organizations and make recommendations for organizations using or producing intranet technology products.